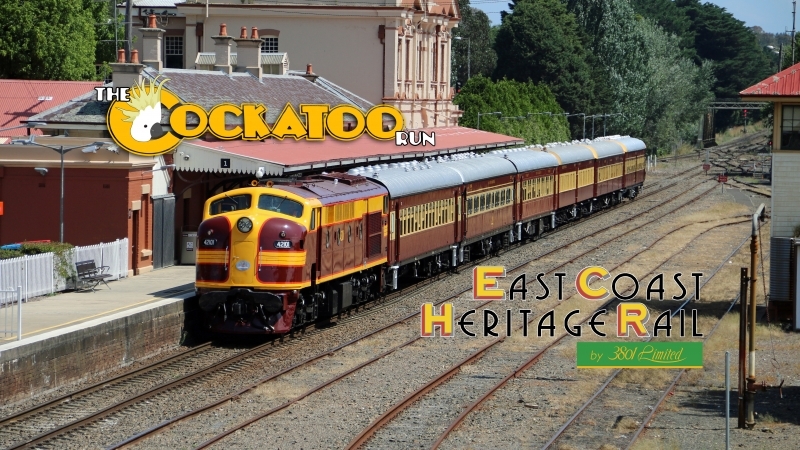 East Coast Heritage Rail invites you to join us on the Cockatoo Run, hauled by heritage diesel locomotives and featuring our beautifully restored and maintained carriages. This heritage train operates a return tour from Sydney through to Robertson OR Moss Vale* via Wollongong. The line climbs 600 metres through rainforests, past waterfalls, and the spectacular viaduct on the line. The train makes a stop at Summit Tank* to admire the view over Lake Illawarra out to the Tasman Sea. The historic Southern Highland township of Robertson with its old town atmosphere and the rustic appeal is generally a great tourist stopover in which to spend some time and enjoy lunch (see below for details). You have the choice of detraining here or alternatively continuing onto Moss Vale* before we return to Central, again via the Illawarra. Please choose your seats carefully as changes cannot be made by train crew on the day of the tour. In the Sitting cars, seats are positioned in groups of four (2x2) with a small table in between. The exception to this is several seats in Car 1(MFS) that has 2 seats and a table facing a seat divider. These seats are 33 & 34,35 & 36 and 65 & 66. 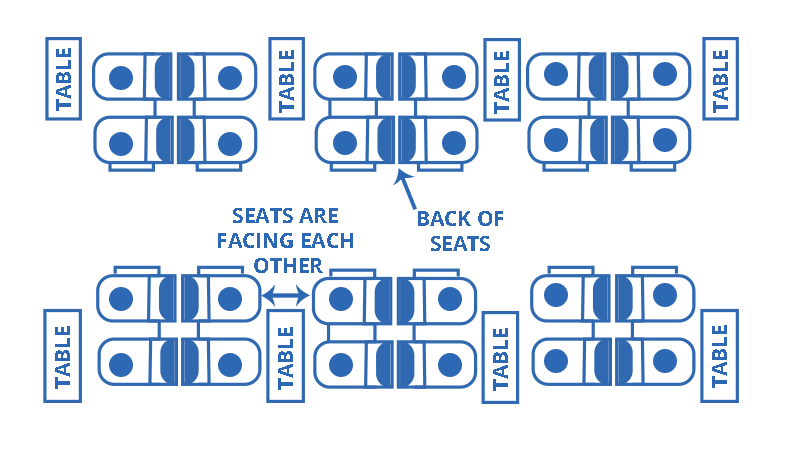 The heavy blue line is a divider between the back of seats. Refer diagram above for full details. Prior to booking tickets please contact East Coast Heritage Rail at trains@3801limited.com.au if there are passengers with disabilities in your group to discuss options. Please be aware that the carriages on the Cockatoo Run are heritage cars and have narrow doors, aisles and walkways and are not equipped with wheel chair spaces. Because of space constraints it is impossible for Wheel chairs to be manoeuvred to seats from the entrance vestibule. It is necessary for passengers to be able to make their way to seats. Walking frames must be able to be folded as there is limited storage space and may not be stored in aisles or doorways. Strollers and prams must be of the foldable type and fit in the luggage rack above passenger seats. Whilst you are able to select your seat, for operational reasons we cannot guarantee that this seat will be facing forward for the duration of the trip. We also cannot determine whether a particular seat will have particular views. For operational reasons, we cannot guarantee particular locomotives or carraiges will be used on this trip, substitutes may be required. Due to timetable constraints, we cannot guarantee that we will stop in Moss Vale or at Summit Tank. We will make further annoucnements closer to the date of travel. We welcome bookings for disabled passengers, however our carriages are heritage carriages and therefore we cannot accept bookings for some disabilities. Please contact us to discuss your situation before booking. Companion Card accepted. Card number must be provided at time of booking.